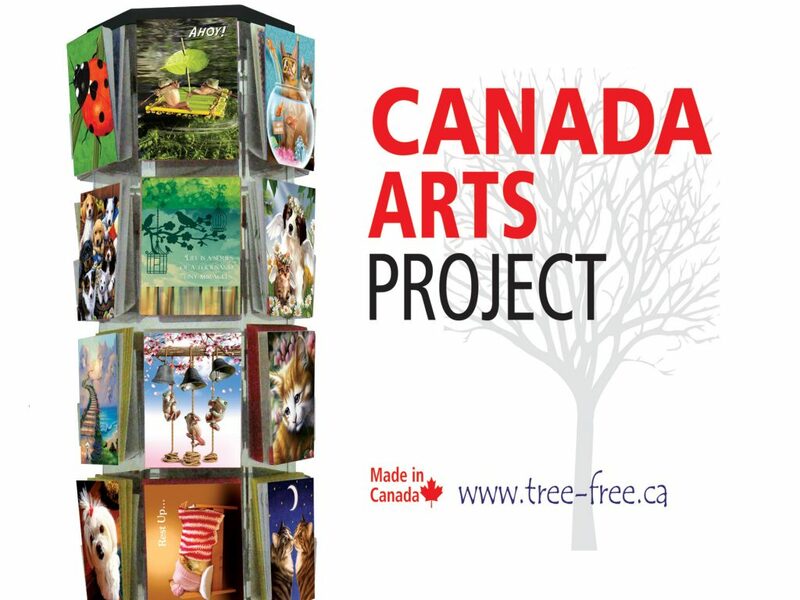 We are elated to announce that we have selected the first three Canadian Artists that will included in our Summer range of Greeting Card Designs. These three talented people submitted their work in the ongoing search for Canadian artists to showcase in our growing line of Canadian made cards. Look for announcements and artist bios in June! Tree-Free Greetings are distributed in Canada by MapArt Publishing. Cards are printed in Canada using post-consumer materials and using vegetable inks. Tree-Free Cards aid the environment and the Canadian family. Support Made in Canada goods. This entry was posted in Canada Arts Project, Made in Canada, MapArt, New Cards, Tree-Free by Brickm. Bookmark the permalink.